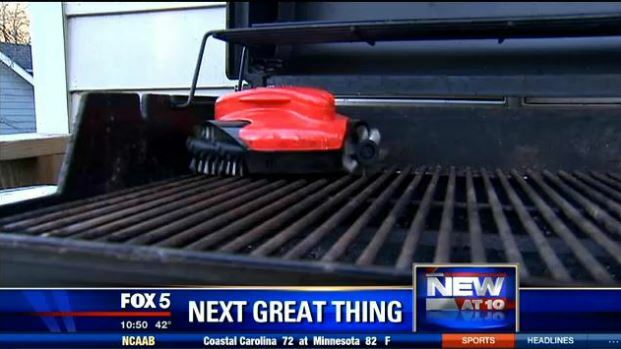 Congratulations to our Client Grillbot for their feature on Fox 5 DC. When the grilling is done and the beer is poured why does the chef have to be stuckÂ scrubbing the barbecue? Instead of struggling with the grease and grime left behind, let Grillbot handle the heavy scrubbing and get back to enjoying that perfectly cooked sirloin worry free. From the messy griller to the neat freak to the restaurant professional, Grillbot is the perfect tool to add to their cleaning arsenal this holiday season. Grillbot is the achievement of creator Ethan Wood’s years of research and development. It boasts a trio of dishwasher safe and replaceable brushes that take care of the dirty work, whether the grill is hot or cold, and comes with all the bells and whistles one would expect from this robot pal. Conveniently small in size but tough on grills. Check them out at grillbots.com!